We traipse around the nooks of London, week-to-week, searching out future sounds that’ll shape your next playlist. There is a real thrill in uncovering a new musician and showcasing them to you: the readers and eventual fanbase. Please believe then, that these next words do not come lightly: alt-folk-pop band, Daughter, boasts one of the most stunning live vocal experiences so far this decade and represents perhaps the brightest upcoming musical talent in Britain. Elena Tonra, the 21 year old lead singer, captivated Thursday’s crowd with a set of exceptional intimacy. Her sensational voice flits effortlessly between passion, vulnerability, coyness to torched distress. Surfacing on FG in April 2011, Daughter’s raw ability is now on the fringes of deserved wider recognition. Their signature is etched into the gifted song-smithing. The lyrics are highly wrought, soul disarming, believably melancholic and relatable across age and gender. Words are crafted artfully into the production, thickening the atmosphere. It is no coincidence that the two songs receiving most attention in the past year are perhaps also their biggest lyrical accomplishments; 'Landfill' and 'Youth'. Beautiful and poetic enough to find critical acclaim, but mainstream enough to be marketed to new pastures. It is a disservice to pigeon-hole their music to acoustic folk; Daughter’s two EPs, 'His Young Heart', 'The Wild Youth' and subsequent demos are textured with adventurous lo-fi and electronic blends. The effect is uniquely haunting folk music with dramatic digital undertones. Best examples of this are 'Medicine', an ode to recovery from serious affliction, and 'Love', a song that exudes the powerlessness and condemnation of losing a lover to someone else. I loathe name-dropping similar artists, but can only find hints of other musicians in Daughter’s work - Mazzy Star, Regina Spektor, Explosions In The Sky, Feist, Laura Marling. Daughter’s symphonies have cleared aside the spate of twee nondescript folk bands that spawned after Mumford and Sons’ success – most of which suffered a huge quality disconnect between recorded and live playback. 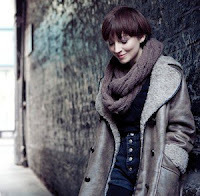 One of our tips for 2012, 5th in the Blog Sound of 2012 and recently featured in The Guardian and Vogue, the horizon is expanding, with Elena’s crisp and brooding voice filling the air in between. Islington Assembly Hall was their largest gig yet. There were inevitably nerves jangling and bum guitar notes that will need cleansing. But with the visibility and PR exposure to come from 2012’s festival season, Daughter may be about to turn a corner with potentially scene-defining music.